The crocuses and daffodils have bloomed and chocolate is everywhere you look - it’s Easter time! There will be worship, a relevant teaching and interactive prayer activities. 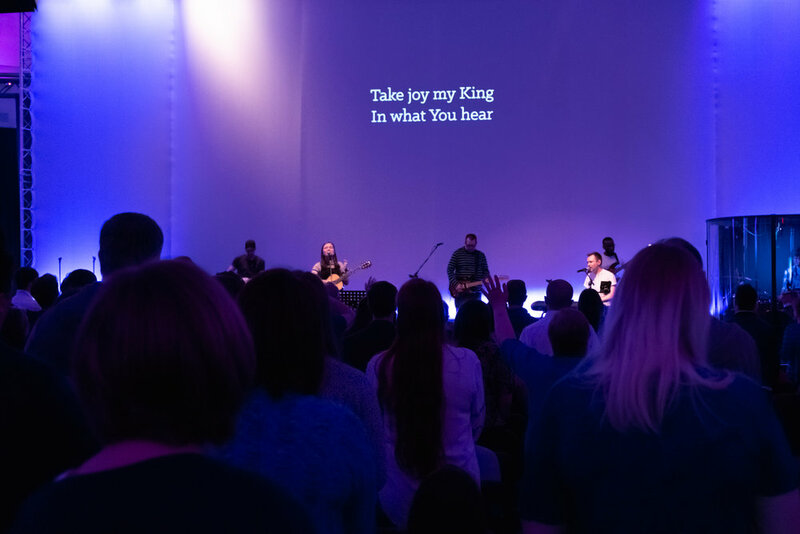 Thanks to all who were able to join us at Big Church last Sunday! 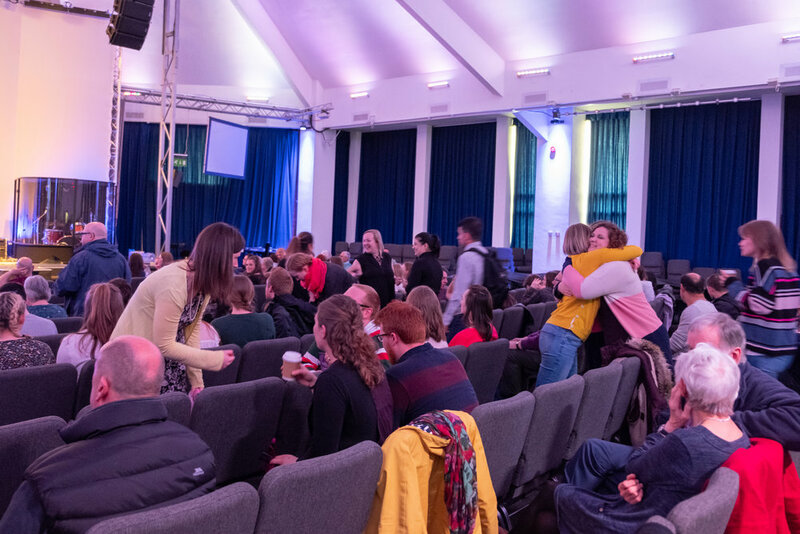 We had a wonderful time worshipping God together, hearing about the amazing ways that your generosity has impacted our city through Growbaby and Foodbank, learning about The Big Three resource (bvc.so/bigthree) and celebrating those who got baptised. 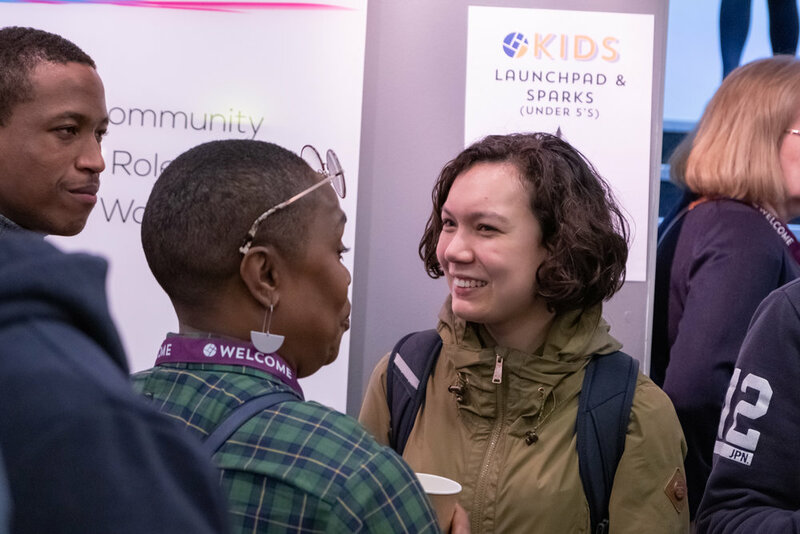 See you at the next Big Church gathering, Sunday 30th June! It can feel confusing knowing where to start with following Jesus and living His way every day. 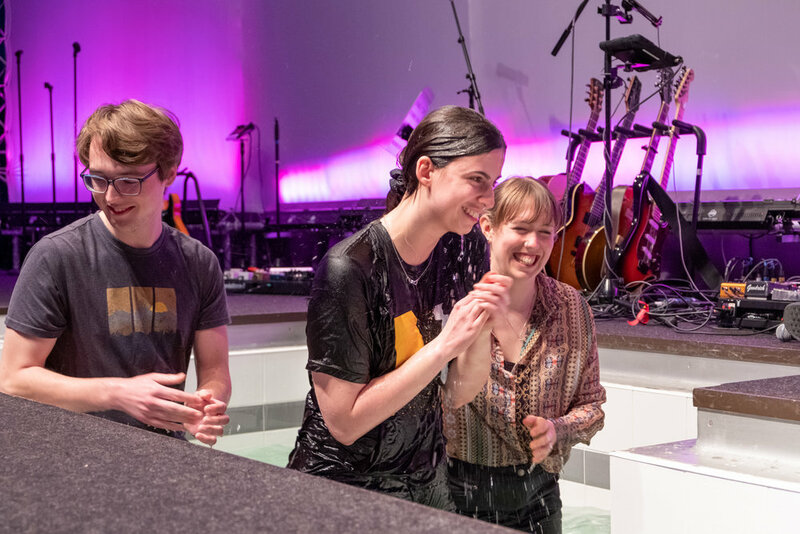 We want to make it as clear and simple as possible, so that no matter where you are at in your faith journey you can grow in your relationship with Jesus! We’ve just released The Big Three booklet, a resource which outlines 3 simple spiritual practices that you can use every day to help you grow closer to Jesus. Physical copies of the booklet are available at our weekend services, or you can access Big Three Booklet PDF here. Read and Listen - Start your day by reading a bit of the Bible, asking God to speak to you about the passage and your day and make a note of what He says. 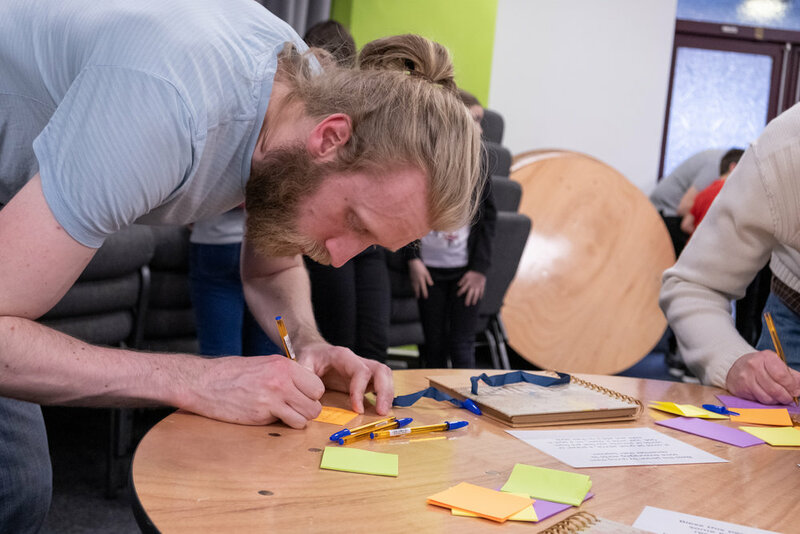 Here are some helpful resources, if you’re just getting started we recommend scrolling down to the 5X5X5 reading plan, or to dig deeper have a look at some of the other resources. Pray Your Thoughts - Continue well throughout your day by praying, which is simply talking to God. Keep your talk with God simple, honest and continual - even through the tough bits of your day! Continue well throughout your day by being aware of what is going on in your head and bring your thoughts to God through short simple prayers. If you want to grow in spending more time in prayer here are some great resources. Guard Your Heart - Finish your day well by reviewing your day before you go to sleep; giving thanks, saying sorry, and letting go. This is a good opportunity to trust God with what has happened and start the next day afresh. If you find this helpful and want to develop this practice more, you might find the Examen helpful. Check out this video from Dan Wilt and Belfast Vineyard. 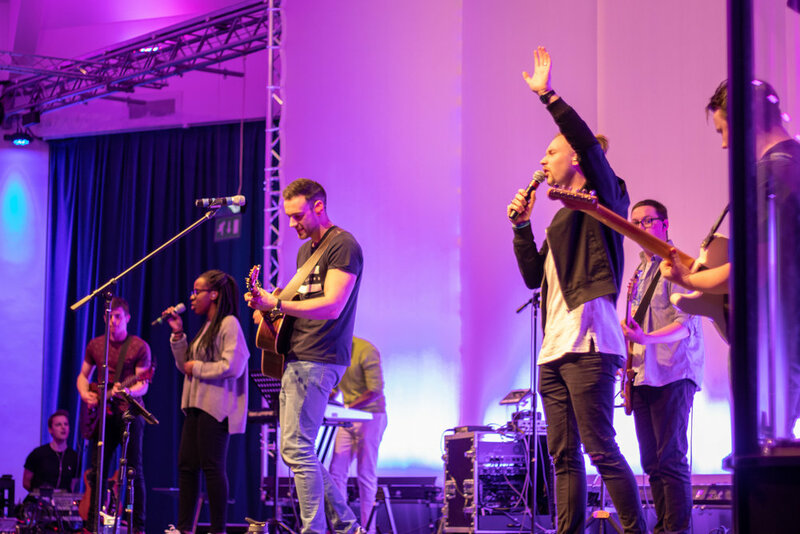 Last week over 1,000 people gathered in Nottingham for the annual Vineyard National Leaders Conference. 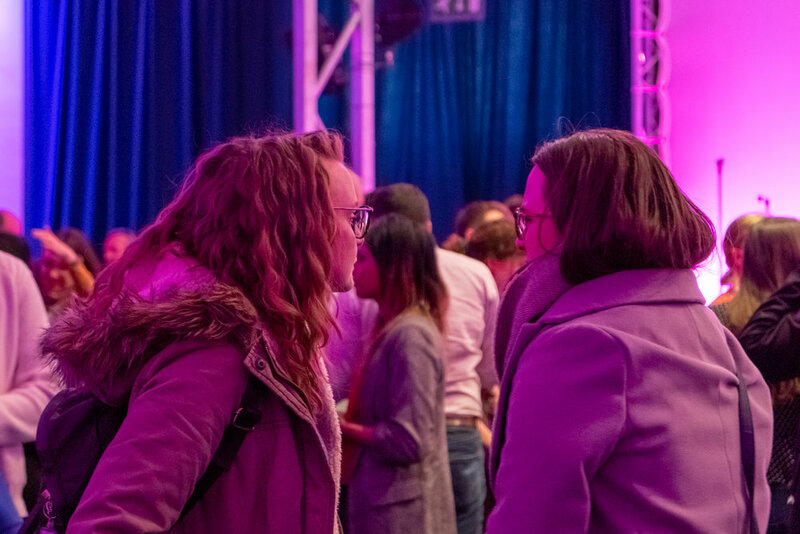 It is a powerful three-day conference for leaders to worship, meet with God, be inspired and spend time with other leaders from across the Vineyard UK, Ireland and beyond. “Identity was something which was being spoken about a lot at NLC. God reminded me four times during the conference of a truth I have been wrestling with over the past six months - a truth on how he saw me and valued me which wasn't my conviction in my heart. I had been believing this lie over and over. The reminders came from four different people, one of which was a guy from St Andrews Vineyard in Pizza Hut - he had been challenged to ask God for a word for someone and I was that person - it was bang on and he and I both went away encouraged!” - Aaron S.
“This was the first time I'd heard Debby Wright preach. She's inspiring and motivating. Quoting from a version of 2 Corinthians 6:2 on the theme "Now is the Time", she set the tone for the conference. One of her key points was "Now is the time to be confident" - both in our identity (it's God who defines who I am!) and in nurturing expectancy. She clearly longs to see people who have not met Jesus come into His Kingdom. Her challenge is for us all to be farmers sowing seeds, leading people to Jesus and investing in the next generation. At another ministry time, Debbie had prophetic words of breaking barrenness both physical and to enable us all to bring new life spiritually. I was affirmed in what I want to see in my neighbourhood and challenged to keep believing and stepping out in faith. Thank you Jesus.” - Pippa B. 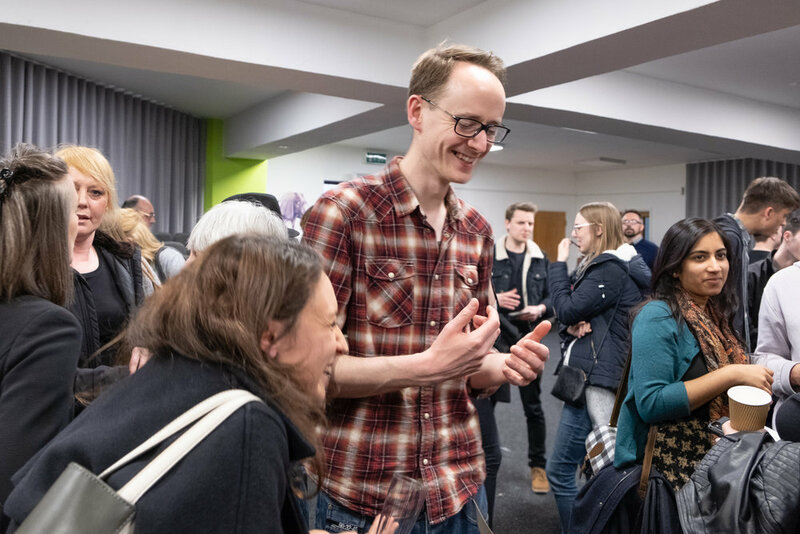 “On the first night I shared a table with three Scots - a Site Pastor; a young woman church planting in Stirling; and a church planter released to go that week with his wife and baby. Wonderful to see and hear the passion and drive to see God’s Kingdom come across Scotland. Then John and Eleanor Mumford shared about their work across the 15 global regions of the Vineyard church movement. 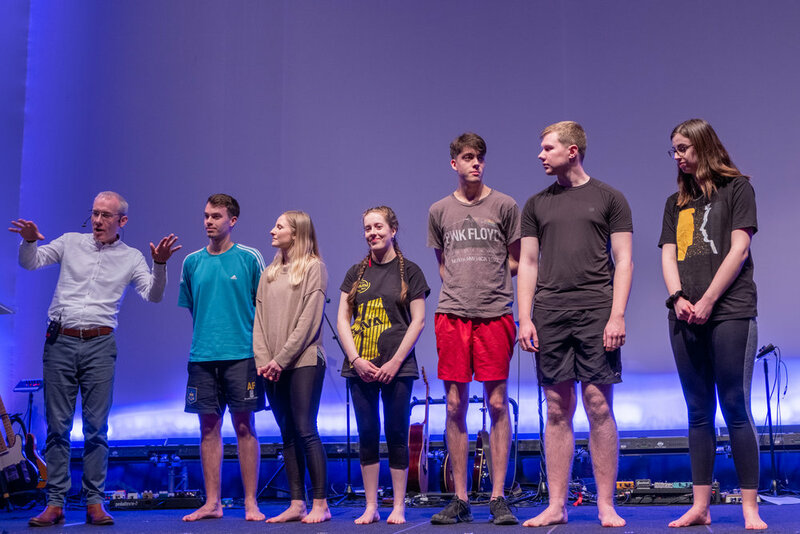 They reflected upon some of the challenges facing the Church in areas of the world, and how much difference being part of the Vineyard family makes. 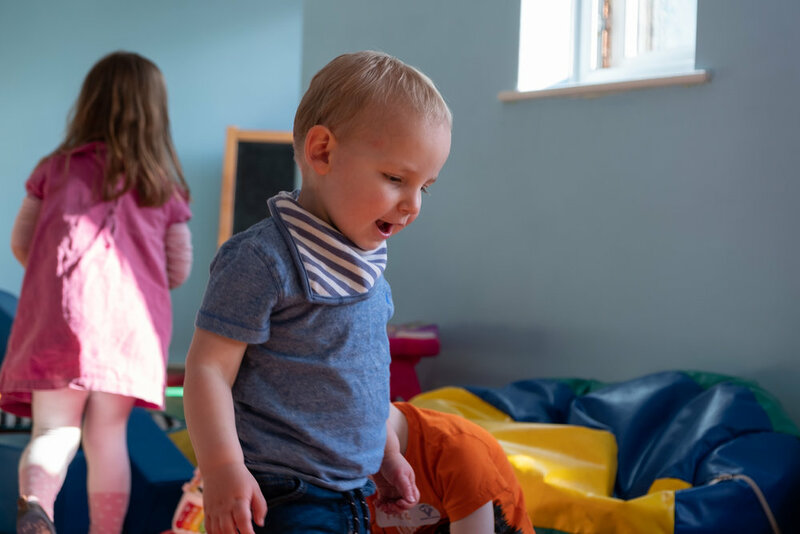 Finally, and closer to home, it was great to see the development of churches birthed or released a year ago, in places like Leicester and the Isle of Wight, now growing healthily.” - Steve P.
“I thoroughly enjoyed NLC. The talks were fresh and powerful, but the best thing was how the Holy Spirit moved across the week. There was so much expectation and the Holy Spirit’s presence was so tangible and at work. 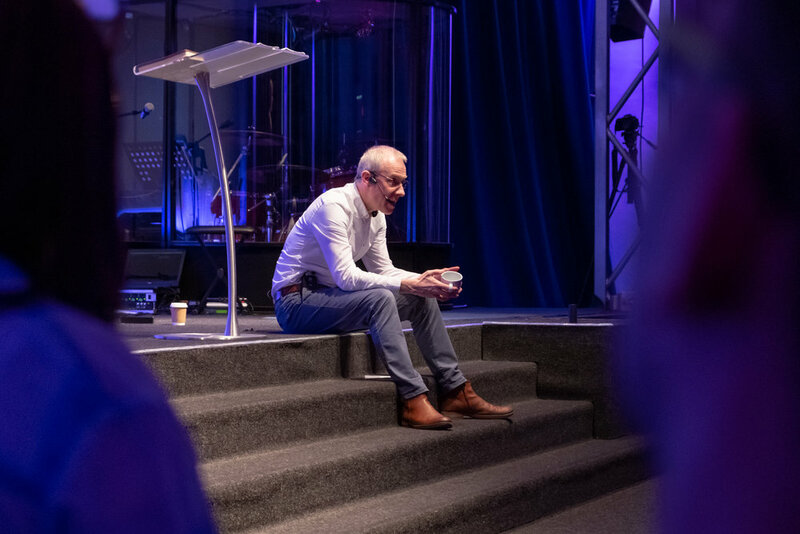 For me personally, I felt that there were some lies that I worked through with God, which left me feeling more free, and ready to run His race with new energy.” - Jon S.
There is a longing for and an expectation across the UK for the Kingdom of God to come. ﻿We are thankful to be a part of a movement who is saying yes to the life-giving works of God and you are invited to join us as we partner with Him to bring life in Birmingham! Welcome to a New Year! 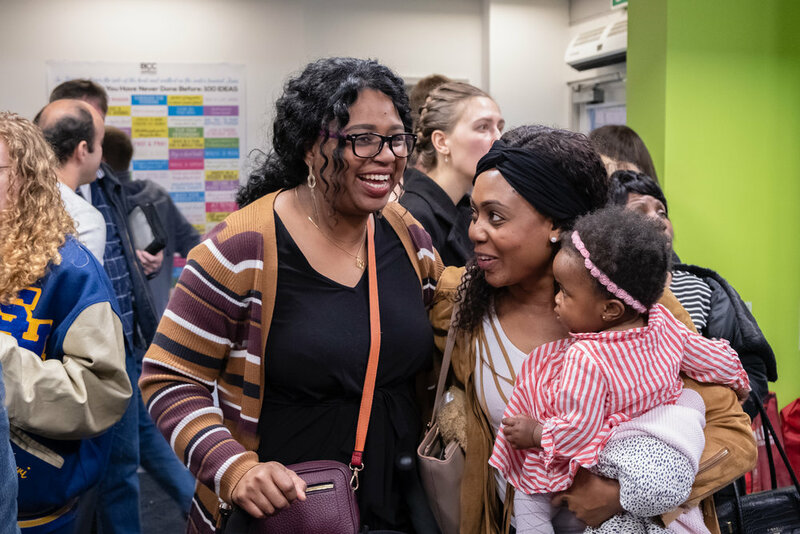 As we start 2019 we just want to say what a joy it is for us to lead such an amazing church community. This time last year Rosie and I were heading off on a Sabbatical. Since our return we’ve focussed on cultivating some new habits and daily practices that have helped us continue to grow. We’ve noticed, as we’ve looked at lives that are an example and inspiration to us, that often they have the same qualities and routines in common. They’re focussed on the things that really matter and they’ve fostered simple, daily routines that have shaped them. For all of us, so many things contend for our attention. As we prayed about 2019, God spoke the phrase ‘Focus and Simplify’ to us. So this year we’re bringing into focus some of the practices and environments that will help us grow. We are focussing on the vision God has for our lives and our church. We are also simplifying the diary so we can put the spotlight on the most important building blocks of church: small groups, communities and Sundays. Later this term we have a sermon series called ‘Formation’ which will explore some of the daily choices we can make to follow Jesus. The invitation and adventure is to follow Jesus, listen to His word and live more aware of His presence continually. As Jesus followers we want to become more like Him, living secure in our identity as loved children in His family. As a church we don’t have a formal membership that says who’s “in” and who’s “out”. We are the kind of community where people take responsibility for their own growth and development as followers of Jesus. In the first accounts of the early Church we read that the people in that community “devoted themselves” to this life of faith together. So we’re all responsible for our own growth! No one else can pray the thoughts in your heart. No one else can build the friendships you can. No one else can bring the perspective or encouragement that God has put in your life. We want to live life to the full. Over the years we’ve seen that the best way to deepen friendship and help our growth is when we learn to consistently love and serve one another with the gifts He’s given us, being committed to each other in small group and community. Together we’re called to be a community of people who are learning to follow Jesus, live life to the full and make a difference every day. 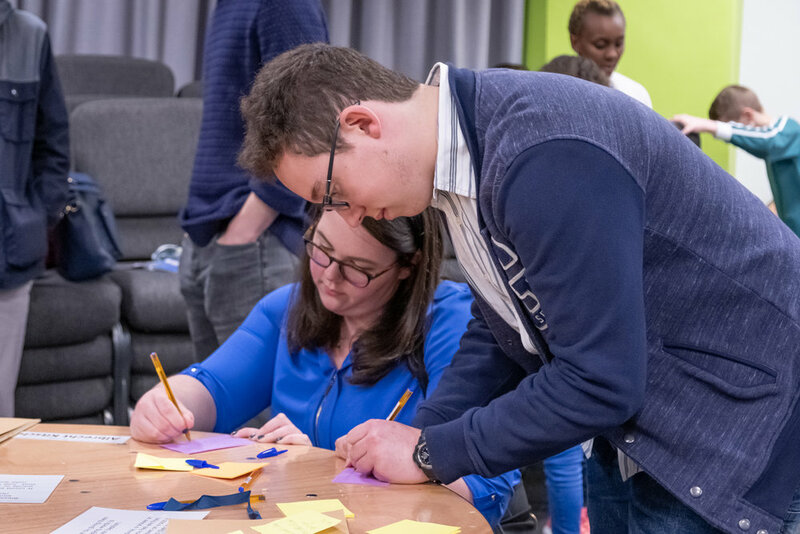 A community that is shaped by the big story of scripture, practising the way of Jesus, led by the power of the Holy Spirit in extending God’s Kingdom. We are proud to release our new single called ‘Masterpiece’. We wrote this song as part of our advent sermon series, also called Masterpiece. We decided to release this song, with all proceeds going to our Foodbank ministry, which helps some of the most vulnerable people across the city. Please click the button to buy the single. Alternatively, you can find our profiles on your usual music provider below. - Available for download on Bandcamp and iTunes. There is also a music video on our YouTube channel that you can also view below. We hope you are blessed by this song, and we'd love to hear what you think of it! 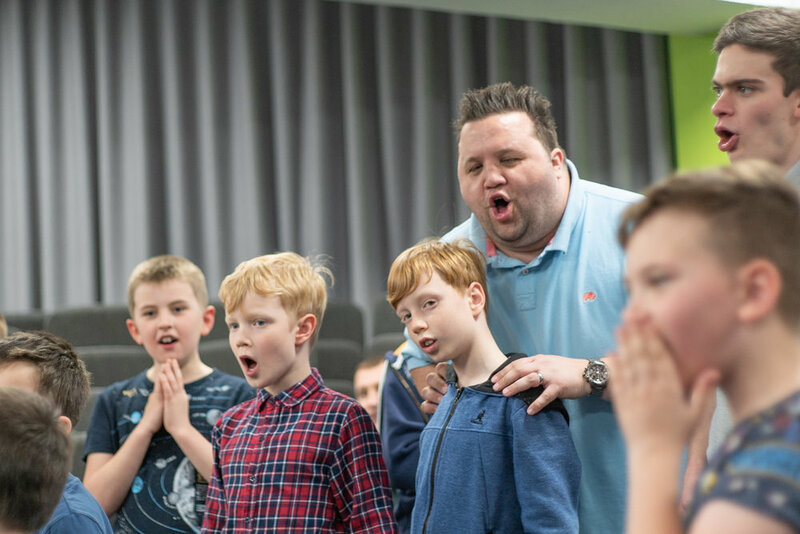 WE HAVE LOADS OF DIFFERENT EVENTS HAPPENING THIS CHRISTMAS PERIOD FOR YOU TO GET INVOLVED IN. WE'D LOVE TO CELEBRATE THE FESTIVE SEASON WITH YOU! At the beginning of September we set out as a community to do 1000 Acts of Courage with Jesus. Jesus promises us that “The Father is always at work, and I too am at work” (John 5:17), and we want to be a community that takes risks to participate with God in what he is doing in our city! An Act of Courage could be big or small, a success or a fail, and anything in between. It could be speaking up to defend someone who is being bullied, sending an encouraging text to someone you normally wouldn’t interact with, chatting to someone at the bus stop and seeing if you could pray for them, simply meeting your neighbours you haven’t met yet; or anything else that, for you, is a courageous step out in faith. The Birmingham Half Marathon is taking place on 14th October. 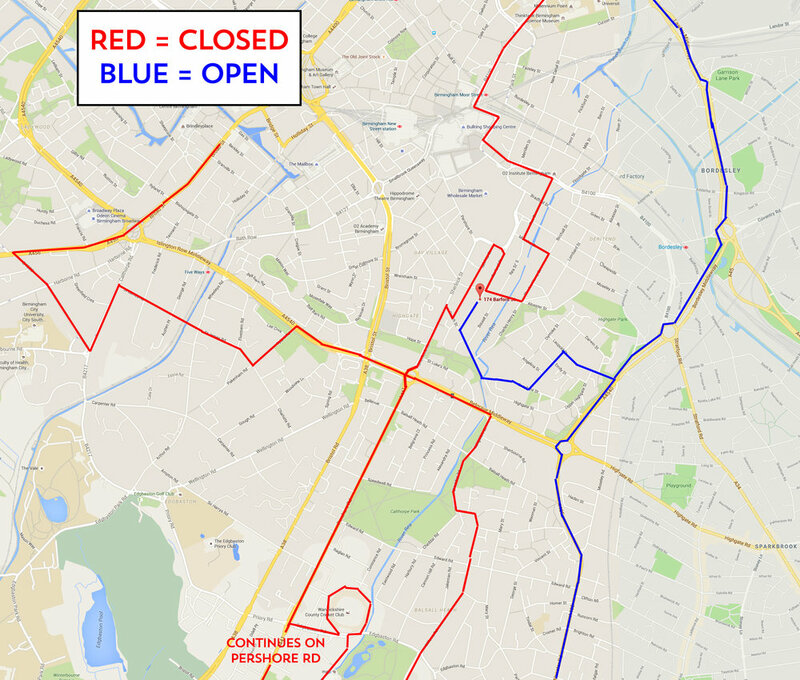 As a result, there are a number of road closures in the city. 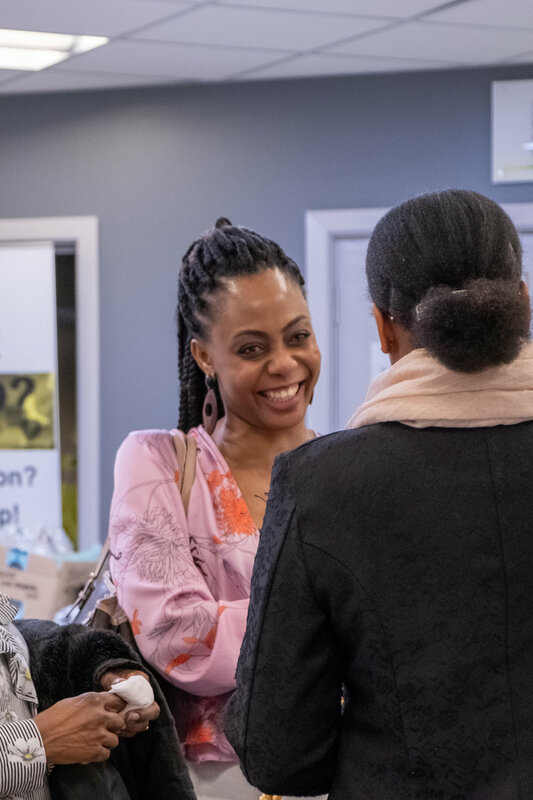 We’re still committed to running 3 services in our 2 locations on that Sunday, to give us space for connection, worshipping together, and welcoming others. In order to help you in your trip to church, we’ve made this map. Please leave some extra time in your journey to navigate these road closures. We look forward to seeing you on the 14th October, and for those who are running, we’re cheering you on! 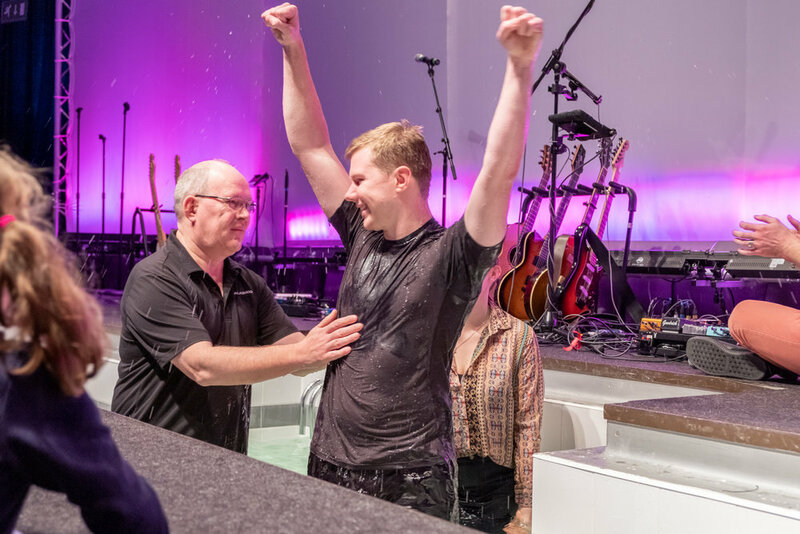 As a church we love to hear stories of people stepping out to be courageous in following Jesus and we long to see Him impacting lives around us. So this autumn, we are setting ourselves a challenge - to collectively carry out 1000 Acts of Courage! We would love you to join in! An Act of Courage could be: offering to pray for a colleague, inviting a friend to church, joining a small group, sharing an encouraging word with a stranger, making the first move to say sorry, giving a thoughtful gift; or anything else that, for you, is a courageous step out in faith. Fill in the form below to share your story. If you'd like to share it anonymously then feel free to not fill out the Name or Email fields. Thank you! Alternatively, you can post your stories straight onto your own social media accounts, using the hashtag #BV1000acts. We're really excited to hear from you, and see what God will do! Update: We have extended the application deadline to Sunday 12th August. 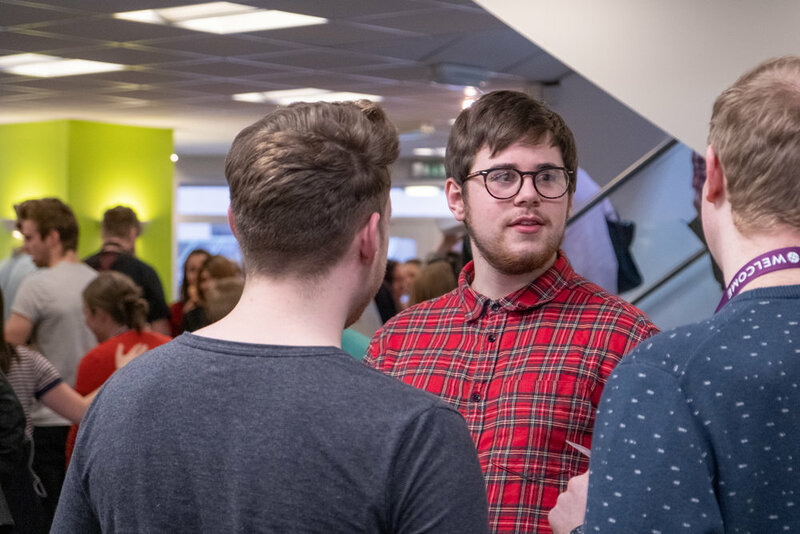 We believe that administration is a crucial part of building God's Kingdom through the church and enabling the wider community to do the things God is calling us into. So if you have a head for admin and a heart for serving, you may be interested in this paid admin support role! 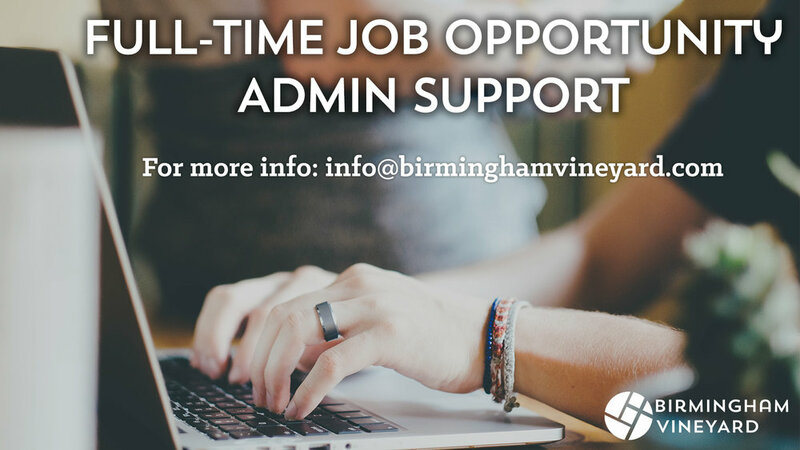 We are looking for a committed, competent and flexible Administration assistant able to undertake a range of organisational and practical tasks to enable the effective operation of Birmingham Vineyard Church. They will provide essential administrative support to the ministry and vision of the church. The successful applicant will be a self-motivated individual with a working knowledge of IT and social media and is excellent at teamwork as well as able to take individual responsibility for tasks and outcomes. Length: 2-year initial contract with a 6-month probationary period. 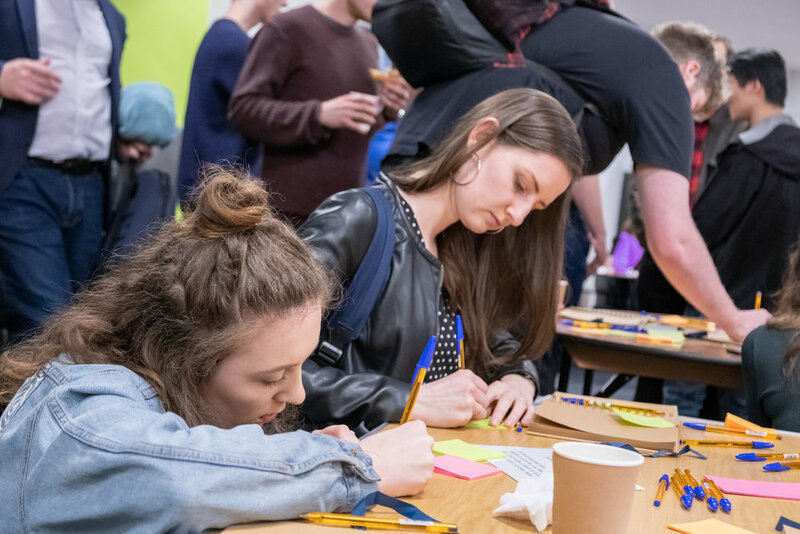 Over the Summer we love to create a relaxed space for people to connect after our services. So if you're new and want to meet people, fancy a tasty treat or would love the chance to slow down and enjoy people's company after one of our services, come along! This is an incredibly exciting week for us as we’re celebrating 12 months since we became one church in two locations, with three services. If you’d like to read a little more on that, head to our multi-site page. Each of our services has grown and developed a little of its own flavour, while remaining firmly part of Birmingham Vineyard. 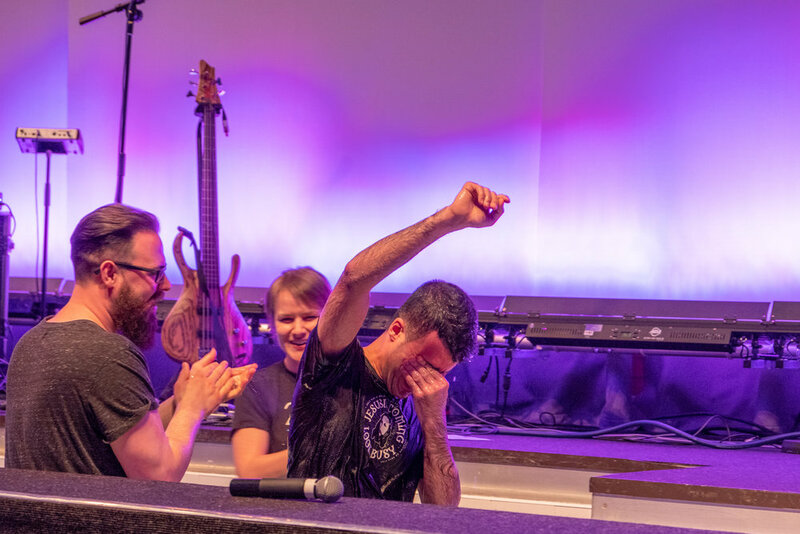 Some stories from our service leaders are below: we’re excited to see what God does next! We had such a great time at Big Church this weekend. 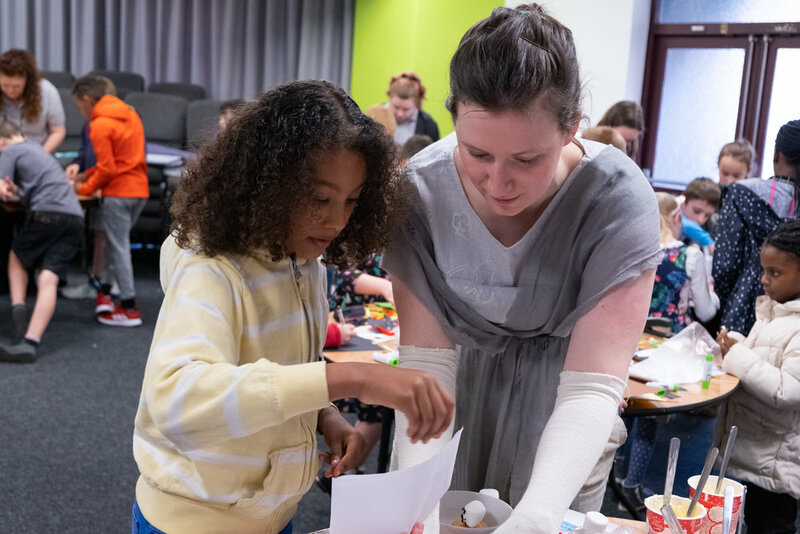 With Baptisms, our EP launch and an unexpected visit from a Roman Centurion, it was fantastic to get our whole community together! 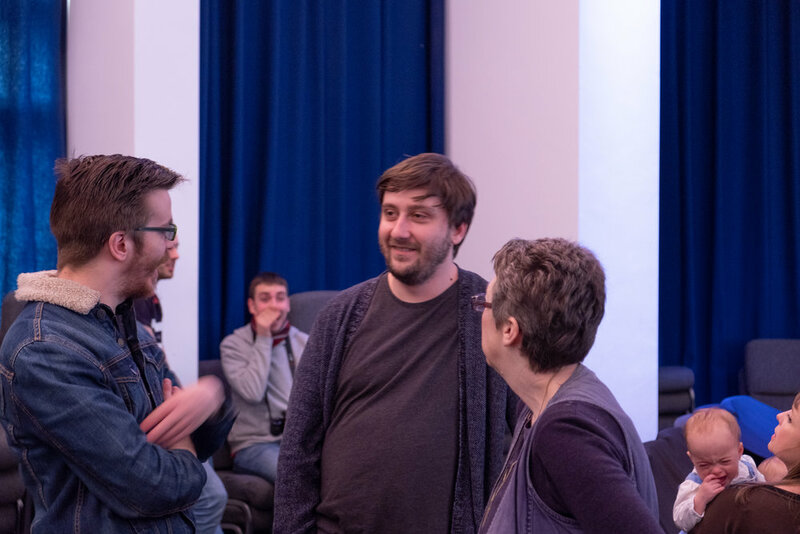 Below you'll see some pictures from the event and also a video of Adam's sermon finishing off our series in Ephesians, it's not one to miss! Our EP of home-written songs is now out! We hope and pray that these songs will be a blessing to everyone who hears them. - There are a limited number of physical CDs for sale. There are also music videos that are on our YouTube channel. We hope God blesses you with our songs, and we'd love to hear what you think of it! We’re excited to announce that our EP 'Our Story in Song' will be released at Big Church on 29th April. These songs are a sonic representation of who we are as a church. 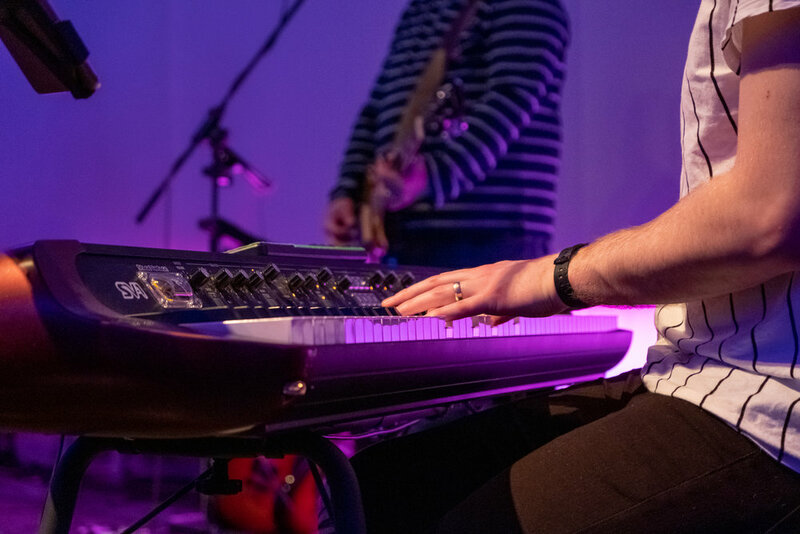 All of the songs were written by our worship leaders, and all of the performing, production, video and graphics have all been done in house by amazing people within our community. This EP praises God for all that He’s done in the past, and looks to the future with the call for God to build His Kingdom in our lives, in Birmingham, and on earth. We wrote these songs so that we could unite as a church in these prayers. We also put together this project so that many others could discover some of the love and hope that a relationship with Jesus brings. Our desire is that, through this project, God would use our creativity to bless our church, our friends, and our city. We’re really excited for you to hear it! It will be available on Spotify, iTunes and BandCamp, and physical copies will also be available for £5. Also, the physical CDs will be buy-one-get-one-free, but only at Big Church! 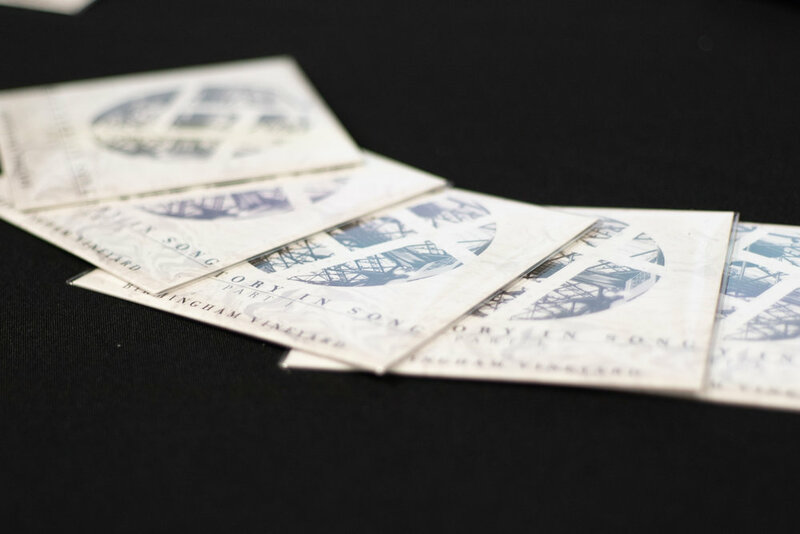 We’d love for you to be able to bless a friend that doesn’t know Jesus with our music, so if you buy a CD at Big Church, we’ll give you another for free to give away to share. Here's a Taster of the EP! We are looking for a well organised PA / Office Manager to oversee and develop the running of a dynamic and fast paced office environment. 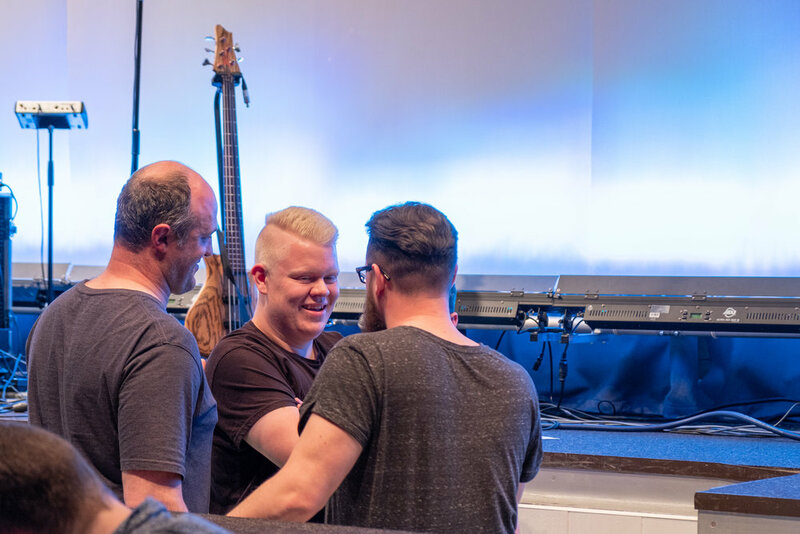 The successful applicant will be a passionate disciple of Jesus with excellent administrative skills and the ability to lead and develop an office team. They will provide essential administrative support to the ministry and vision of the church. They will also act as Personal Assistant to the Senior Pastors as well as ensuring smooth running of all office systems. 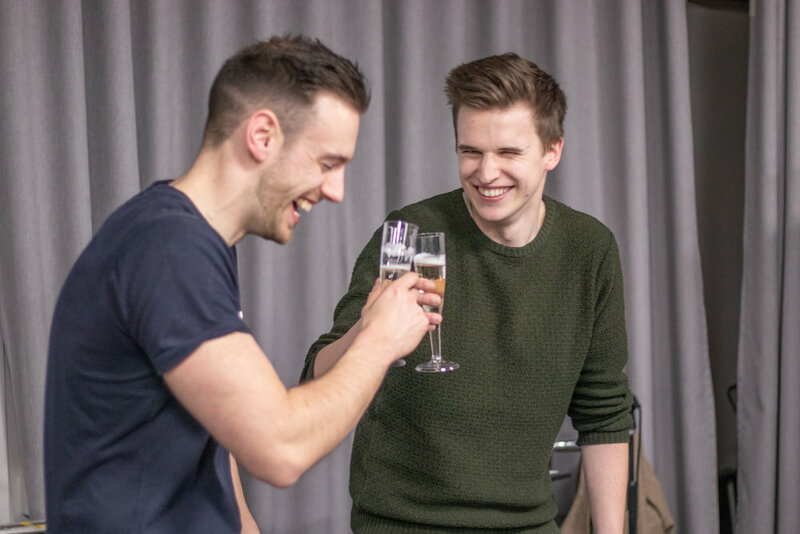 Thomas and Tonny have been serving as BV Advance students for the last 18 months, as they prepare to leave we asked them to share what's next for them. Rosie and I want to let you we are going to be taking a sabbatical from the 10th of February to the 14th of May. That will be for us to have an extended time for personal prayer, reading, reflections and theological study. After that we’ll be returning to our normal duties leading this wonderful Church. The concept of sabbatical may be new to some of you so please take a few minutes to read the rest of this blog where we’ve anticipated many frequently asked questions. All the leaders are already aware of this news and the community leaders, staff team or trustees can answer any question that you may have. 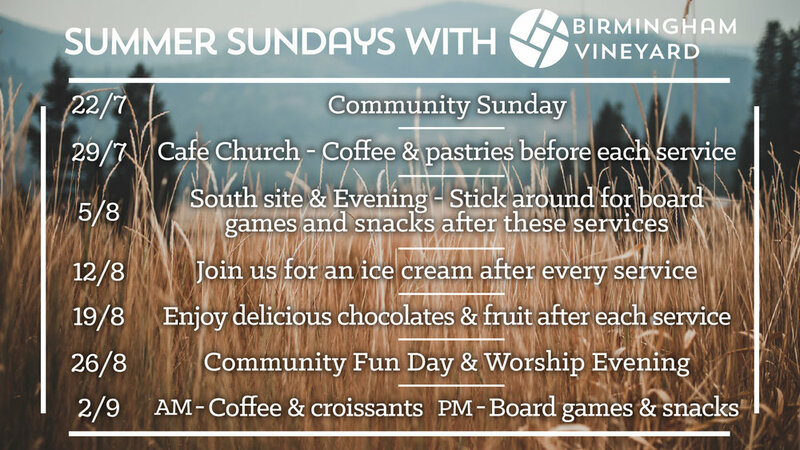 It’s been 30 years since Birmingham Vineyard was planted and 23 years that we’ve been leading together. The concept of sabbatical is well established in many church denominations, as well as in the Vineyard. The trustees have generously made it possible for us to take 3 months off from our day-to-day leadership responsibilities. The focus for us is personal growth and development, investment in the next decade of ministry, all in the context of extended rest. 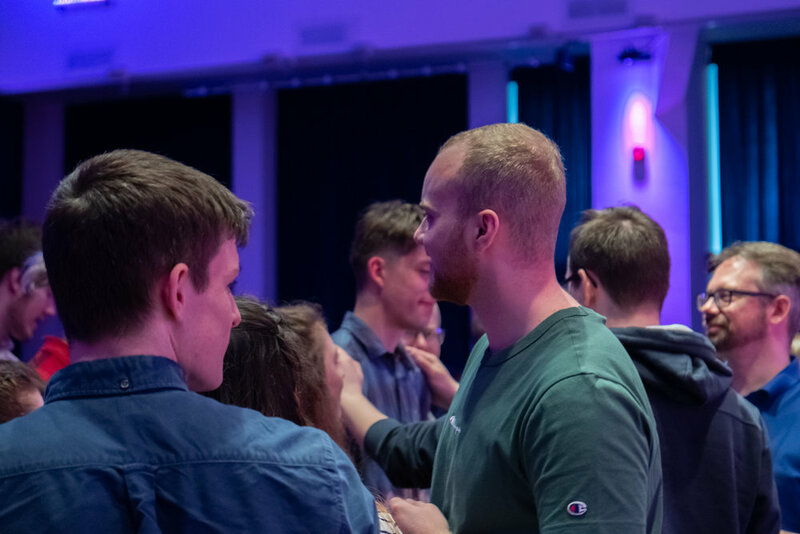 We’ll be away from Birmingham for most of the time and we’ve planned some guided prayer retreats, theological study, and extended time to be with Jesus in personal prayer. We’ll enjoy time to rest as well as investing in our own relationship. We plan to visit some churches and glean wisdom from other church leaders who have been inspiring and insightful to us over many years of leadership. We’ll miss our Birmingham Vineyard family for those three months but we are excited about the chance to invest in our own personal growth. Our prayer is that we return stronger leaders. 1 What does sabbatical mean? The concept of sabbatical is rooted in the idea of “Sabbath” or rest. It’s about ceasing from the normal day to day responsibility of leadership to enable an extended time for prayer, reflection and study. It’s a proactive step for us and for the congregation we serve. We’ve both got a spiritual director to assist in our reflection before, during and after the sabbatical. We’re heading off on 10th February, and we’ll be returning to work on 14th May. 2 Why are you going on sabbatical at this time? With both of our daughters off at university we are in a life stage that makes this possible. We’ve also chosen this time because we’re confident of the momentum, health and vitality of the church and leadership team. John and Debby Wright, our National Directors, have spoken with us of the great benefit of taking a sabbatical and after conversations with the trustees we are in agreement that this is the right time for us and the church. 3 What's planned for church? This has been in the planning stages for many months so we’ve put considerable thought into the leadership and detail of the next term. We can leave knowing that everything is in good hands in our absence. The teaching themes and preachers for the next few months are all confirmed and we are also excited that new initiatives like the winter night shelter will be starting. 4 Can people still contact you? This is a unique time for us to step back from all day-to-day contact and communication so we can fully engage in this time of rest, prayer and reflection. We’d ask that you don’t contact us directly over this time. All our normal communication channels will be responded to by Joanne our PA or the team. 5 When you are away who’s in charge? Steve Philpott, closely supported by Tom and Ali Husbands, will be leading the team in our absence. We are grateful that we can confidently enter this sabbatical because of our deep trust in the wonderful team of staff and community leaders. They will continue to work together to serve and lead Birmingham Vineyard during our absence. For the last 6 months Steve has been line managing a number of the staff team and we are grateful for him becoming the point person while we are away. 6 Will anything change about our church while you are away? In many ways nothing will change. You'll continue to gather for worship and scatter to serve in our city. New groups will start and church will grow while we are away as you welcome new people into this great community. Please do introduce us to newfound friends on our return! The only change is we won’t physically be amongst you for the three months. The same staff and team members who lead Sunday services will continue to be on hand each week. 7 What do I do if I hit a problem or I become aware of one? We’re so glad that we’re not limited by a 'pastor centric' model of Church. The gifts of so many add to the health of our community. Small Groups and Communities remain the first point of contact for emergencies or moments where help is needed. Community leaders refer complex situations to pastoral staff. That’s our normal pattern and it will remain that way for the sabbatical period. The office based team meet weekly to pray, review the week and respond to needs that arise. 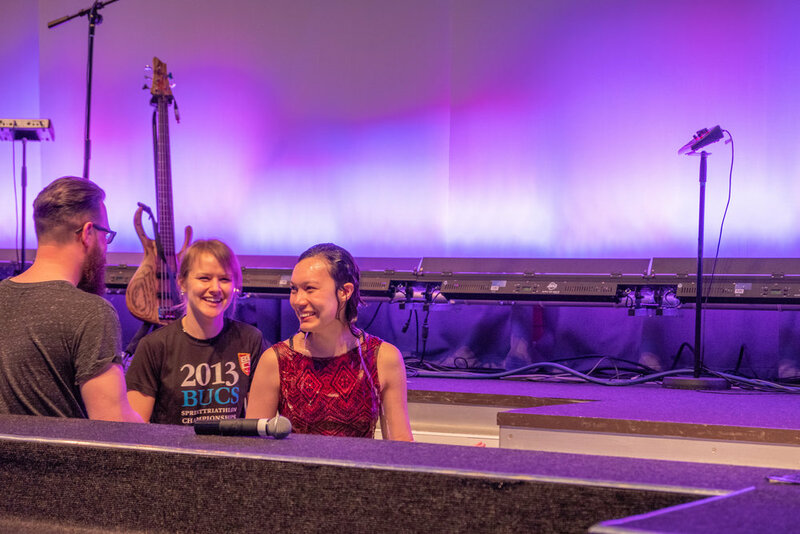 Some staff rotate between services with Michael and Jess consistent in the Central am service, Jeff and Becky at the South site and Tom and Ali on Sunday evenings. 8 What if there is a real emergency? Rosie and I have never made significant decisions in isolation. We’ve valued the wisdom of colleagues, trustees, ‘elders' and overseers outside the Church. All these people are on hand during this time. 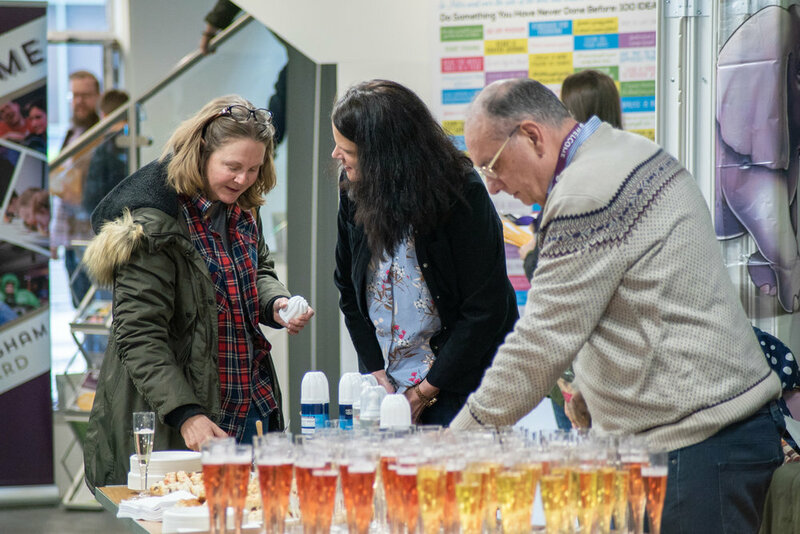 If something complex needs attention, our staff and trustees have access to the Vineyard Area Leaders and to members of the Vineyard Leadership Group. The Trustees team will continue to meet monthly with Mike McMaster as the chair of this team. Our colleagues have our schedule and contact details throughout the time of our sabbatical and they are empowered to communicate with us if they feel it absolutely necessary. 9 How can I best support the church at this time? Being present, prayerfully engaged and supportive of the leaders is the most helpful thing you can do. The health of this church is maintained by the consistent choices we all make to prefer one another, serve one another, and pray for one another. This is a moment for our whole community to grow. 10 How can we pray for you while you are on sabbatical? Pray that we become still enough to hear everything that Jesus wants to say to us. The invitation to know Christ and become more like Him is offered to us all in every season of life. We want to grow as leaders so the next decade of ministry in this church and beyond it is as fruitful as possible. 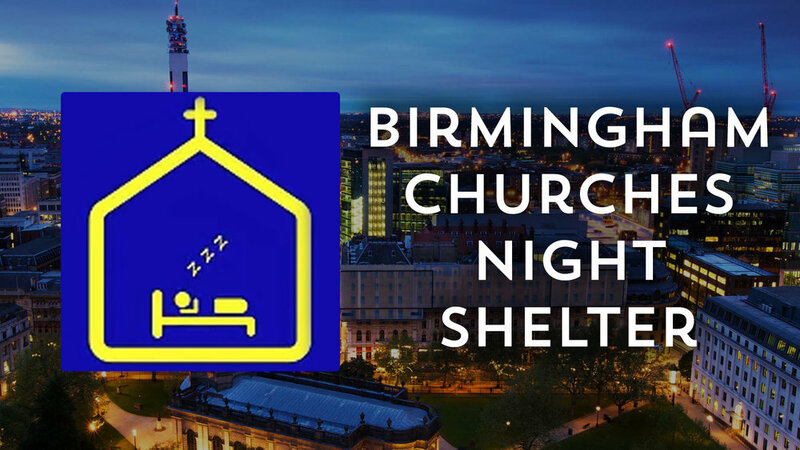 We are excited to announce that we will be hosting the Birmingham Churches Winter Night Shelter on Wednesdays February 21st to March 28th 2018. We are looking forward to hosting this and we will need volunteers to help run it! Please email info@birminghamvineyard.com if you are interested in helping with this fantastic opportunity to be Jesus' hands and feet. 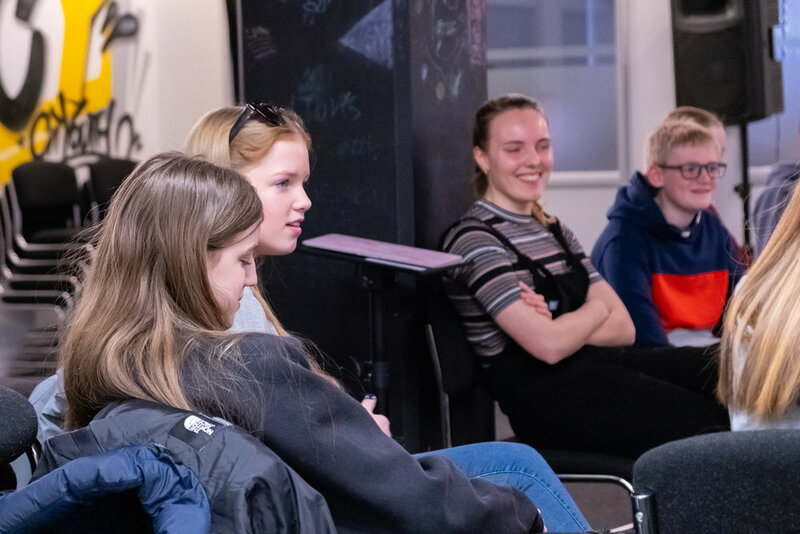 Training will be provided at Network House on 15th January at 7:30pm and you will need to attend it if you are seriously thinking about volunteering.